We strive to give our travelers an extraordinary travel experience at our Silk Road Destinations and we want to include activities in their itineraries that people cannot find on their own from the Internet or through less informed travel companies. I train my Silk Road Treasure Tours Guides and team to notice new fashion designers, rising craftsmen or artists, who the locals know for doing great work. We want our guests to be able to meet and share these amazing success stories. By doing this we are uniquely able to give travelers the very best experience with people and places sometimes in the remotest parts of Central Asia and Caucasus. 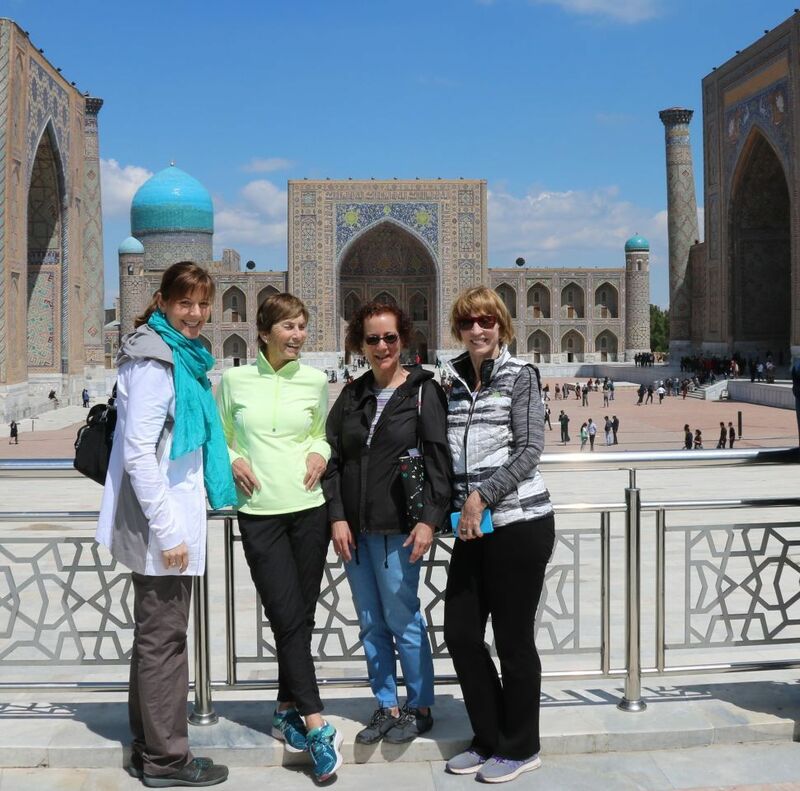 I recently traveled to Uzbekistan with my friend and travel colleague Cathy Noyes, who has written about her trip. I would like to share her writing with you and how she captured the extraordinary places and people found on one of our tours. In Uzbekistan, rainy days are few in number. Rural landscapes and ancient cities are bathed in sunlight. Farm fields and new paved highways shimmer, dust from the wheels of a donkey cart blurs a view, mud and straw and baked brick walls absorb the heat only to release it in the clear evening skies, while tin roofed farm sheds and the glittering tile work of monuments reflect and radiate… In Uzbekistan, the changing light from fresh early morning, to harsh midday and warm evening creates gradients of tone that appeal not only to the photographer or artist's eye, but to those who wander the byways, faces upturned to the warmth and the novelty of these fabulous scenes. Catch the light! Design Dream in Tashkent. Uzbekistan. What’s not to love with these fabulous colors? In a purpose-built gallery of workrooms and display areas we found Rakhmatilla Sharipov, one of Tashkent's young, driven fashion designers. It took us awhile, as there are few designers in the space originally meant as a showcase for Uzbek fashion, and few visitors that day. Those still here are gems. One showroom is full of dreamy formal gowns, another creates men's dress shirts, but we were looking for Ra Style. The fashion industry In Central Asia is young but with serious talent, training and a cultural heritage of textiles (Ikat)and ornamentation to back it up. Rakhmatilla embodies this, and as Director of the DesignArt group in Uzbekistan leads the creative hive of rising fashion designers. One of his young protégées (who is working on her own collection as well) explained their desire to change attitudes to fashion and promote social activism through their work. The government provides grants to support cottage crafts and social organizations for women, the perfect resource for these designers. Sharipov was adding exactly this type of hand-made decoration to a dress he was constructing today. Uzbekistan has its own fashion week every year, and international fashion is definitely taking notice. Trained at the Tashkent National Art College, Rakhmatilla Sharipov's collections are youthful, vibrant and leading edge. What instantly caught my eye in the brightly lit atelier was an outfit created from vintage ikat cotton. Vivid yellows, pinks, blues and a particular shade of brown with a deep oxblood hue, create a riot of color in the sharply defined patterns. The jacket is lined with yellow and beautifully tailored. The skirt is fashionably and flatteringly high waisted and falls to the floor. Vivacious and absolutely stunning. Rakhmatilla sketched a gorgeous formal skirt for me and showed me fabric samples and had I the time to stay in Tashkent would have certainly taken up his offer! Next time, though… He is currently working on creating designs with European flair and handmade details and hopes to open his own showroom in Moscow in the near future. He designs for women, men and children, and you can catch his work on Instagram @ra_style and learn more about the Design Art group @designart.uz, at www.designart.uz Thanks to Rakhmatilla and his team for their time and permission for photos. Fashionable scarecrow complete with ikat jacket and headscarf! In late April, the coming summer heat is not far off and the sun makes itself felt at midday. Early morning is till cool and pleasant as we get on our way from Samarkand to Shakhrisabz along roads which have seen caravans and conquerors over thousands of years. Miles of peaceful pasture and farmland form our scenery today and images of Uzbek rural life in this ancient part of the world pass by the van windows like snapshots. We can't help but stop to capture them. There's a woman in a purple sequined dress and floral headscarf moving a reluctant cow along and steady farmers keeping one eye on their livestock and one on the passing traffic. Neighbors chat over a low stone fence. Wooly donkey foals graze by the roadside and moon-eyed calves trot after their mothers. Once into Qashqadaryo Region, the landscape becomes a little greener and slightly hilly in places. After the spring rains, the early wheat is a fresh green and poppies dance in clusters and crowds across the fields and along roadways. Farmers and shepherds with long wooden staffs settle among their flocks, and schoolchildren wave madly at the passing tourists. There's even a traffic jam behind a tractor at a roadside bazaar which pleases the kids and adults alike there, giving us all the opportunity to share more smiles and waves. We eventually make a turn off the road where a trickling creek creates a deep verdant pocket at the corner. We stop for more photos of ripening fields and scarlet flowers and then head up the unpaved road to a farm perched on a sunny hillside. The neighbor's donkey brays a welcome and up the steps a table under the shade in the courtyard is set with fresh tea, home-made non bread and sweets, and purple, garden dried raisins. There are several generations here and we're welcomed by the family. Their wool is local, and much of the weaving is done in natural colors, though some is colored with natural vegetable dyes. Rustic geometric patterns in hues of browns, reds and even pink and orange march along the carpets hung out on display. A rope strung out in the yard is hung with drying skeins of thick, shaggy, taupe, beige and brown wool. There's a traditional yurt on site to explore, a calf out back trimming the greenery, and the weaving room to watch the women work. A busy toddler plays peekaboo with her mother behind the yurt door then finds more fun in a box of wool in the workroom. We visualize our hallways back home with the runners that they cut and fringe by the meter for you and work out where we can put even more small area rugs. Samples of Uzbek embroidery and ikat fabric add to the small shop offerings, but Shakhrisabz awaits. Refreshed by the tea and the warm welcome, we cheerfully stash our carpet rolls into the back of the van and head out in the direction of the mountains in the distance, a fine backdrop to the ancient kingdom of the Timurids. And really, how much fun is it to say "Qashkandaryo" or "Shakrisabz"?! The novelist Pat Conroy once said "Once you have traveled, the voyage never ends, but is played out over and over again in the quietest chambers. The mind can never break off from the journey." It's true. Memories of travel pop into our brain unbidden, triggered by a scent, a flavor, or even a moment in the shade. These are reminders of how travel experiences change us irredeemably. In good ways. You grow, you learn and you want to keep on learning. Anyone with itchy feet knows that travel creates the desire to see more. The regions of the Silk Road are a treasure chest of wonderful, memorable experiences just waiting for you to explore whether through an ancient carved wood door, or on a hand loomed magic carpet! 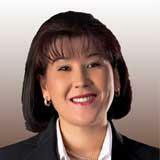 I hope you enjoyed Cathy's writing, we will add more to our site soon. Why not experience for yourself the warmth of the local hospitality of a Silk Road Treasure Tours. Find your own magic carpet on one of our Uzbekistan and Central Asia Tours for Photography, Cultural, or Luxury travel..